"Kosher" refers to a set of dietary laws set in the Old Testament that governs the selection and preparation of food. Kosher originates from the Hebrew word "kasher" meaning "proper" or "pure."" 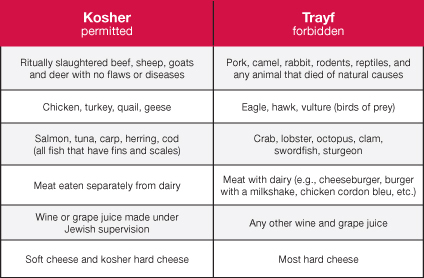 In order to be considered Kosher, a food must carry the certification of a rabbinical organization that oversees production and can attest to its purity. 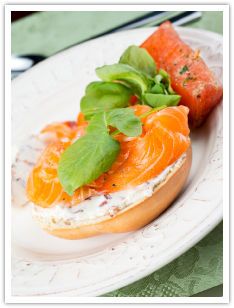 Kosher food is important to Jewish religious practice for several reasons. Eating Kosher is an opportunity to show obedience to God and helps preserve Jewish unity and identity. To download a complete list of Kosher items in your TOPS market, click here. To view pdf document, get the acrobat reader. *Products may vary by store. Look for the following symbols on items throughout the store to ensure that these products are certified Kosher.